♥ Overall Premium Engraved Cherry Desk Business Card Holder Pen Clock size 10" x 7"
Personalized Desk Name Plate Clock Business Card Holder Case Silver Pen on Cherry Wood which makes a unique Graduation, Corporate Retirement, Employee Recognition Service Award, Coworker Promotion and Boss or Executive Retirement Gift. 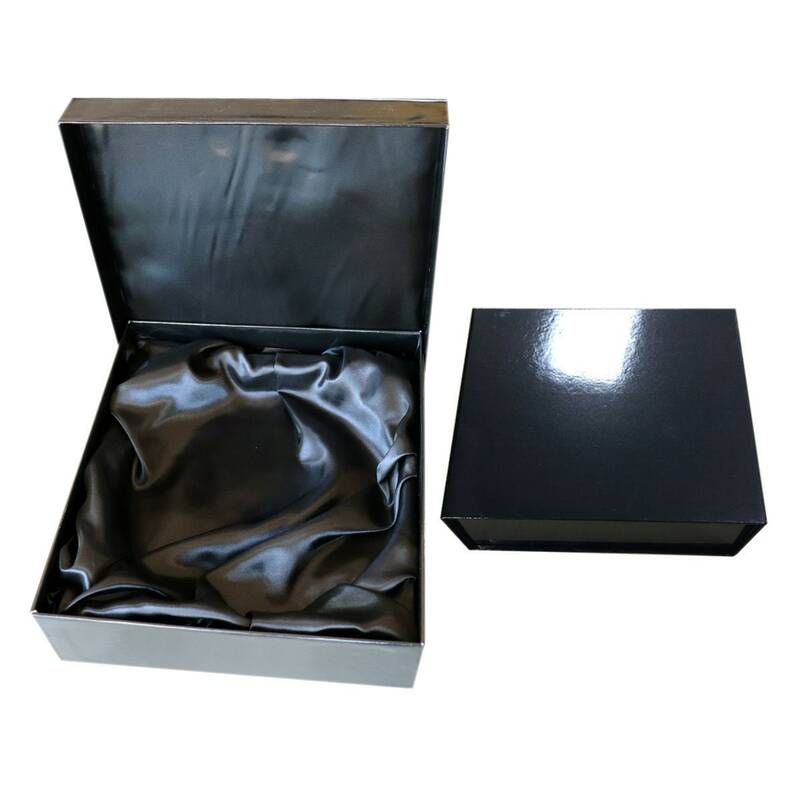 Celebrate a graduate, executive, employee, coworker or family with this exquisite piece of time that holds a personalized name plate, business card case, elegant clock and silver metal pen. A beautiful recognition, employee retirement, birthday, wedding anniversary or service award gift for a valuable honorable person. The desk clock display a business card, an engraved name plate, pen and a beautiful silver clock mounted on cherry wood. Recognize a valuable dedicated friend, boss or colleague who go above and beyond in the work place. The handsome desktop accent silver clock is a great present for retiring employees, wedding, birthday, promotion or anniversary gift. 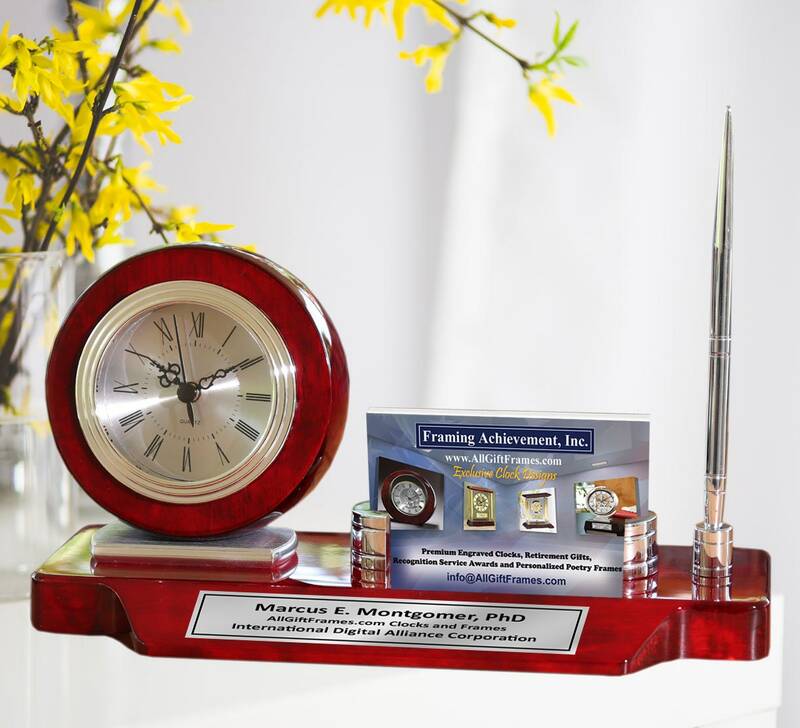 This engraved desk clock also makes a mementos wedding, anniversary, birthday, graduation, promotion or birthday gift. A personalized engraving silver plate complete its display. Use this engraved desk clock to display recognition in the office or pair it with coworker retirement mementos for memories.